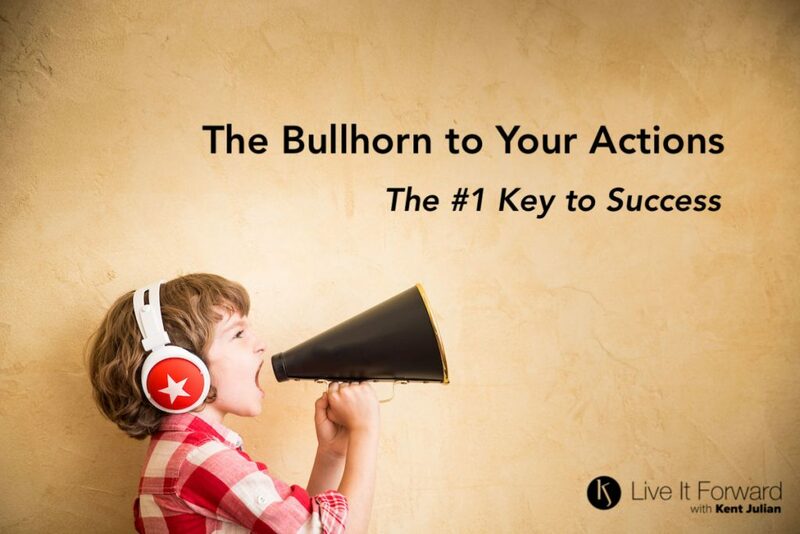 The Bullhorn of Your Actions | Key To Success! The following phrase is definitely a key to success: What we believe in is evidenced by the steps we take, not just by the words we say. What we believe in is evidenced by the STEPS we take, not just by the WORDS we say. If you’ve heard any of my keynote presentations, you’ve heard me talk about E+R=O (Events + RESPONSE = Outcome). This equation means that the events in our lives do not determine our outcomes. Instead, how we RESPOND to events determines our outcomes. Therefore, if you want to get better in any area, stop allowing events to control you. Instead, use your responses to alter the outcomes. The same idea can be applied to your beliefs. What you believe is important. And if you are a leader, it’s important that others know what you believe in. If you want others to know what you believe in, you can’t just talk the talk, you have to walk the walk! What you believe in — both as a person and as a leader — should be evidenced by the steps you take, not just by the words you say. Listen to and respectfully follow through with the requests made by your peers and leaders. Encourage and build up others on your team; never tear them down. Set goals for yourself. Then put in 110 percent effort into achieving those goals. Take 100 percent responsibility for your attitude, actions, articulation, and associations…and do not make excuses when you make a mistake in one of these areas. Bottom line…words, without actions, are empty. So instead of just talking the talk, let the steps you take be evidence of what you truly believe. Are You An Opportunity Card Shark? Key To Success – START!